“Many people have said that if I were to be cut open a weird mixture would come out my veins. That odd looking fluid would be made up of half blood and half engine oil! I have had a passion for cars and racing since I was 2 years old. My uncle bought me a die cast model of a Ferrari and it went everywhere with me. Whilst most toddlers cuddle up to a nice soft teddy bear I had this magnificent specimen of a car, a little uncomfortable to snuggle up to at times, but it was mine and I loved it. This passion never waned. It was never even considered that I would do anything else as I grew up, than go into the motor trade. A trade that I love and have been in for 30 years, I haven’t looked back. 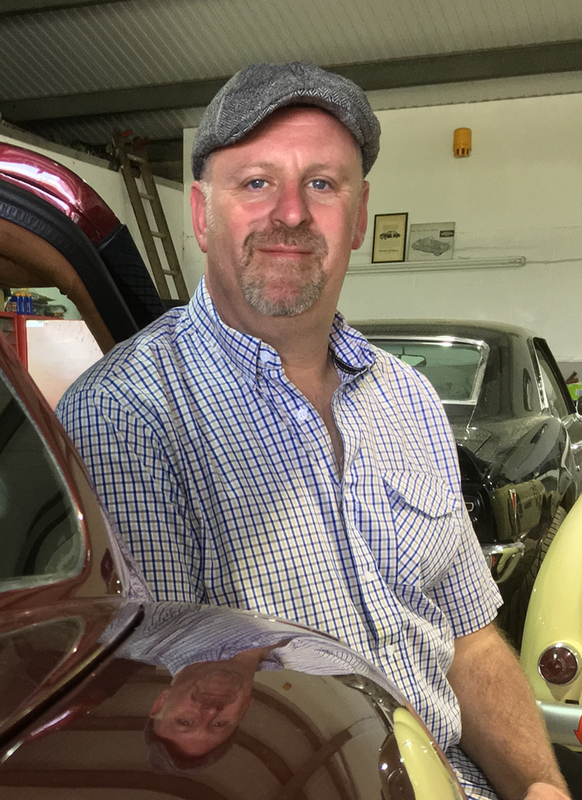 I began my apprenticeship in 1986 at a garage in Watford (Harris Mays) working on Land Rovers, Rover P5, P6’s & SD1’s and there I forged the longest and my most loving relationship with – the Rover V8 engine! I moved on to Libra Motive in North London where I was a technician working on Morgan Sports cars. This is where I first met Colin. As we shared the same enthusiasm for cars and racing, becoming great mates was inevitable. From Morgan I went on to HR Owen as a technician on Jaguar, Land Rover, Rolls Royce and Bentley, before switching departments and becoming a service advisor. However my hands were too clean and I preferred to work with a spanner rather than a pen. So in 2001 I made the decision that the only way to go was to be my own boss and set up my own business. Since that day I’ve been maintaining Land Rovers, prestige cars such as Bentley’s, Ferraris, BMW’s and preparing track day vehicles and race cars. Car 169 in Fun Cup was one car I recently maintained for a couple of years as well as restoring historic racing cars. I was also involved with Nissan Europe and Infiniti from 2003-2010 as part of their event support. I was in charge of the technical team on all vehicle launches. I was fortunate to work on some amazing cars in beautiful cities across Europe. A tough job but someone had to do it! I’ve not only looked after other peoples racing cars. I raced my own Rover SD1 in the Classic touring car championship 2007/2008 season. It was fantastic being behind the wheel of a race car as well as preparing it.